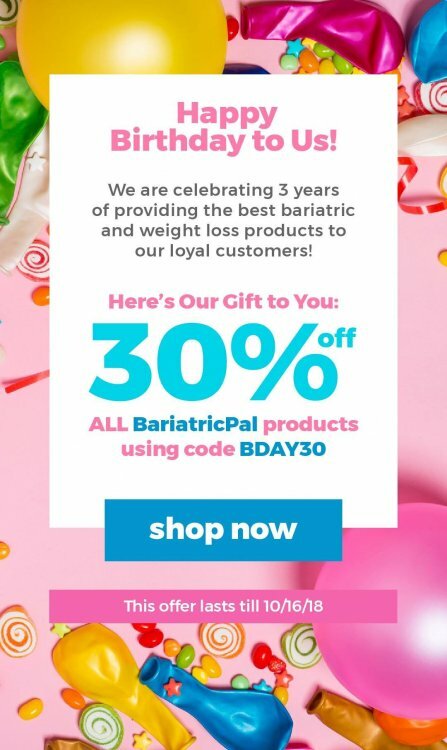 The BariatricPal Store is celebrating 3 years of providing the best bariatric and weight loss products to our loyal customers! Here's our gift to you: 30% off ALL BariatricPal products. Use code BDAY30 at checkout.